This is almost like a 2 for 1. You get your avo toast and then you get a little salad on top. 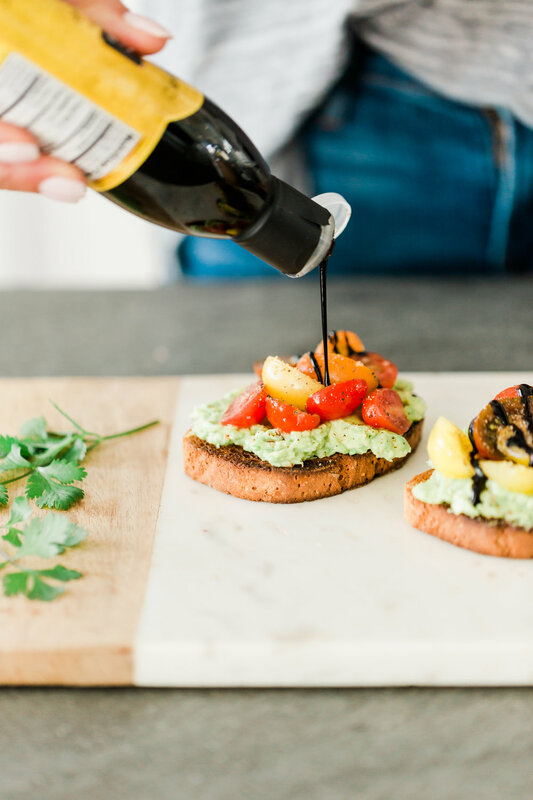 I also snagged these gorgeous heirloom tomatoes so it made sense to throw them on top of this toast and oh man was it amazing! It’s so fresh and delicious, I’m pretty sure you’ll love it too! While preparing ingredients, place bread in the toaster, I like to double toast it for that extra crispiness. Split avocado and remove inside with a spoon, place in a large bowl. Squeeze lime into bowl, add red pepper flakes, salt and pepper. Set aside, in another bowl, slice tomatoes length wise and add to bowl, grate garlic into tomatoes (using a microplane makes this really easy), squeeze lemon, add salt and pepper. It’s important to season every layer of this so you’re really getting a punch of flavor in each bite. Top each piece of toast with avo mixture, then top with tomato mixture. I like to add a little drizzle of balsamic glaze, I used regular but flavored ones would be great also! Top with salt and pepper once more (maldon salt is amazing on this, but I was fresh out) add a drizzle of balsamic glaze and enjoy! 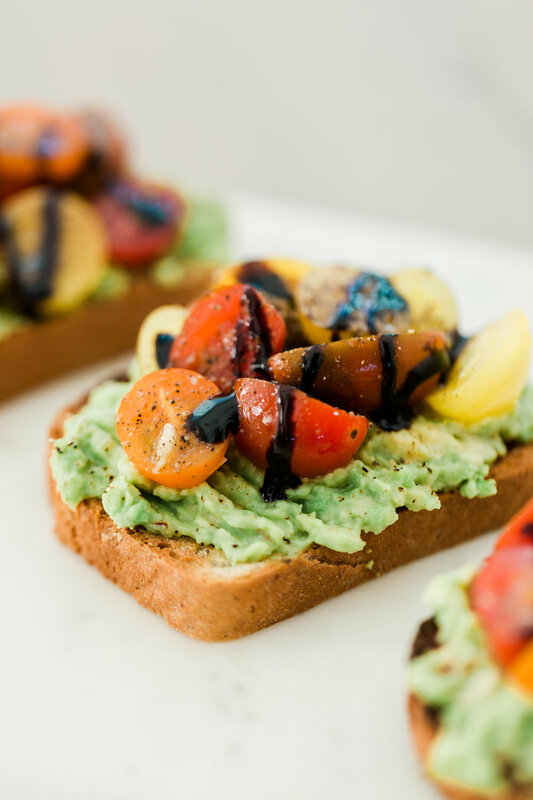 It’s the perfect little snack, appetizer, breakfast, late night snack, or just a good excuse to use of some fresh avocados.